We have enjoyed such a blessed and refreshing weekend at Hebron. Friday night we met together in fellowship along with visitors from the surrounding churches. Elders Roger Pinkston and Mark Nunley were richly blessed in their sermons. Elder Roger spoke to us regarding Jesus being the solid rock and Elder Mark followed with a sermon on the Jesus being the bread of life... As Elder Mark said, he's tasted a lot of really good bread in his life, but one day he tasted the BEST BREAD! 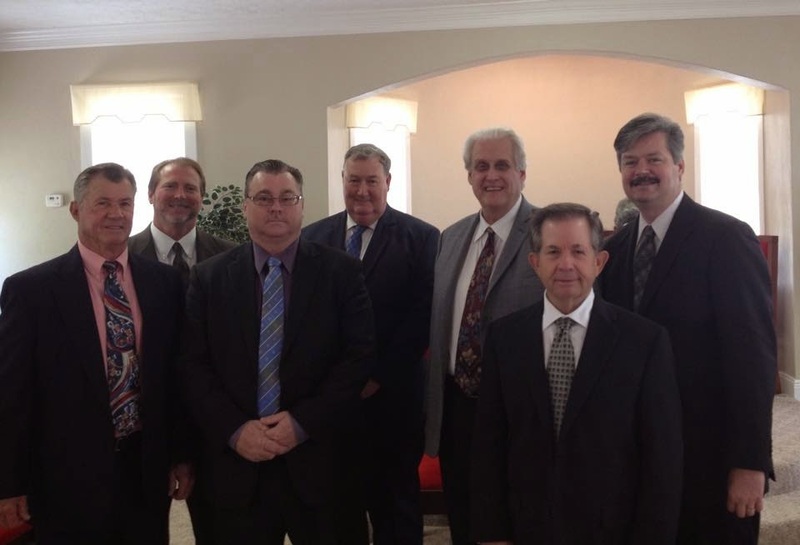 Saturday morning, we had visitors from more of our sister churches and we appreciate their love and fellowship so much! Elder Chris Taylor was asked to speak first and he delivered a wonderful message on the purpose of the gospel and the deliverance it provides to us in this life. Elder Mark Nunley spoke with us once again and humbly showed how in need we are of mercy and how truly blessed we are to receive that mercy from our Lord. After lunch, we entered into our communion service. Elder Mark was asked to speak on the bread and he emphasized how we are not physically breaking the body of Jesus, as some other religions practice, Jesus' body was broken only one time, therefore we simply break bread in remembrance of what HE endured for our sins. Elder Tommy Green, our pastor, spoke to us regarding the wine and it's representation of the blood of Christ. He emphasized that the scriptures say we are not to eat or drink unworthily. As he pointed out, this is an adverb not an adjective. We are ALL unworthy, but how we participate is the key. Finally, Elder Chris Taylor spoke to us about the significance of the foot washing service. He pointed out that the bread and the wine pertained to Jesus and our eternal salvation. Yet the foot washing service is for good works (Ephesians 2:10: For we are his workmanship, created in Christ Jesus unto good works, which God hath before ordained that we should walk in them.) What a sweet time of communion with our Lord and our Brethren! We praise God for blessing this meeting.